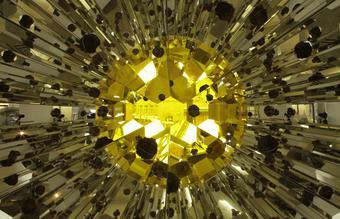 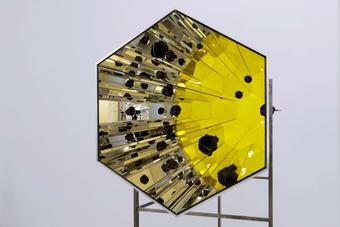 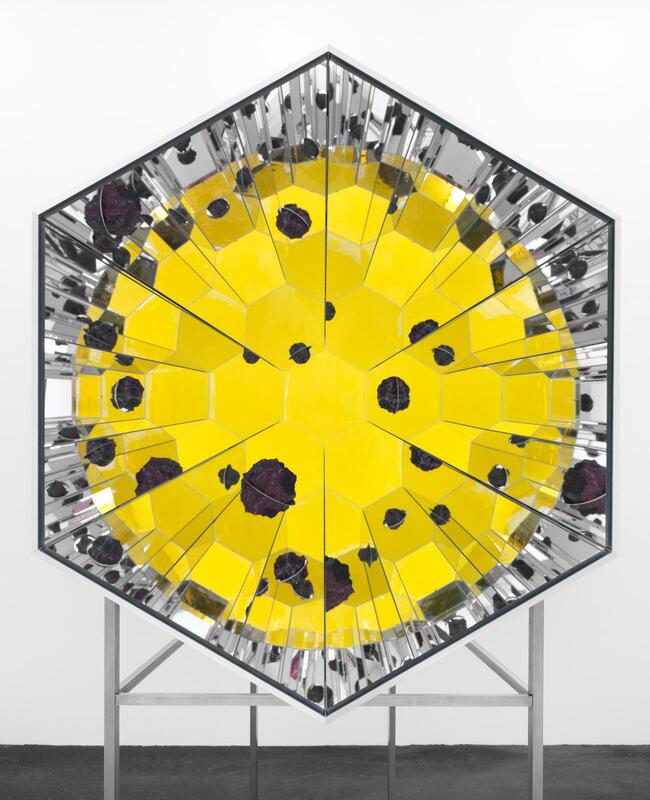 Lava kaleidoscope is a viewing instrument, whose hexagonal aluminium and stainless steel shell is lined on the inside with mirrors, with yellow coloured glass mounted at its far end. 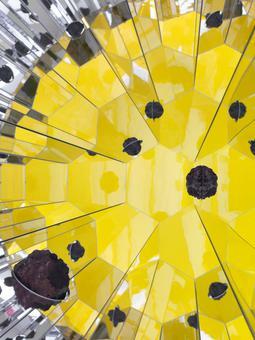 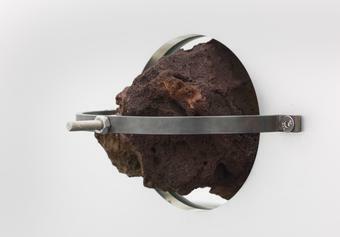 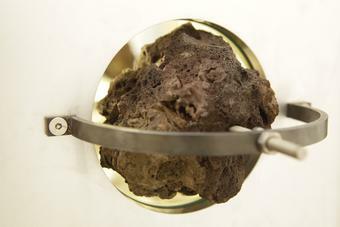 Resting on a metallic frame, the external shell of the kaleidoscope is pierced by three lava rocks of varying size. 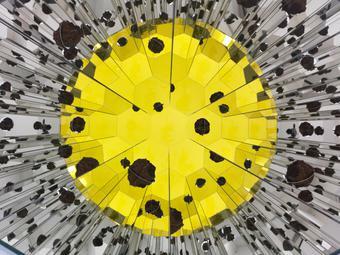 Looking inside, the viewer experiences seemingly infinite fragmentary reflections forming a spherical shape while the lava rocks appear to create a planetary explosion around this yellow core. 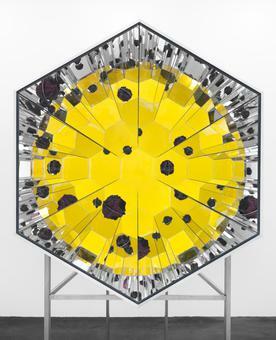 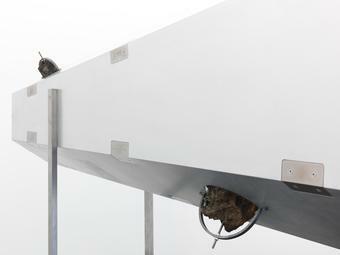 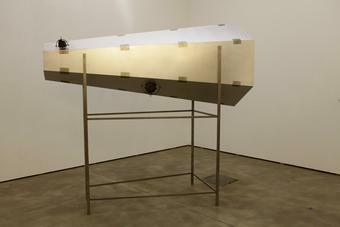 The space surrounding the kaleidoscope is brought into play through the truncated end and the opening at the viewer’s side, merging with the planetary vision. 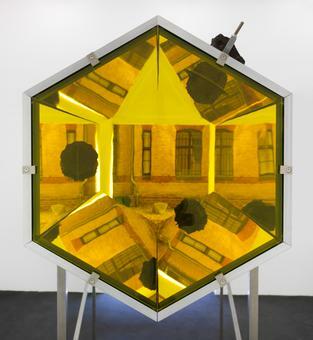 With his kaleidoscopes, Eliasson explores his continued interest in the act of seeing. 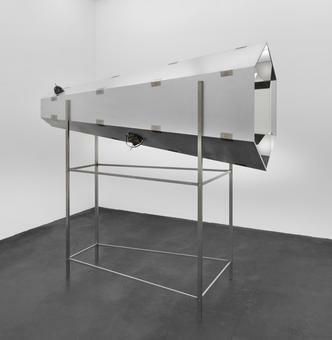 His various optical instruments – amplifiers of seeing, or viewing machines – question perceptional habits, inviting the viewer to a more open, felt experience. 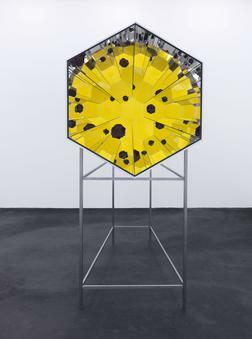 His Lava kaleidoscope draws the viewer into a concentric universe, alluding to the co-dependency of perception, space, and universe.